Equine International Airfreight is proud to announce its association with Matt Harnacke, an international model and #1 equestrian influencer. Named by Vogue Australia as “the face to watch” at just 21 years of age, Matt’s modelling career has taken him all around the world and he is associated with high end, commercial brands. 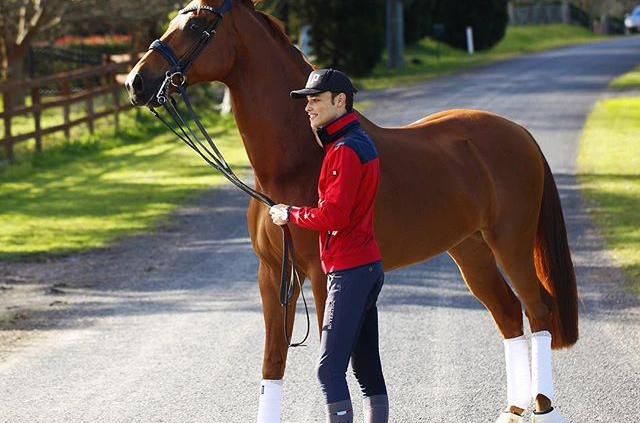 Signed with Longines, a brand synonymous with the horse industry and particularly through its association with the FEI, Matt is becoming widely recognised at horse events throughout the globe. Importantly, Matt’s passion, participation and enthusiasm for the horse is closely aligned with the ethos of Equine International Airfreight. EIAF’s Managing Director Cameron Croucher believes: “Matt is an impressive young man who knows and understands the importance of alignment. 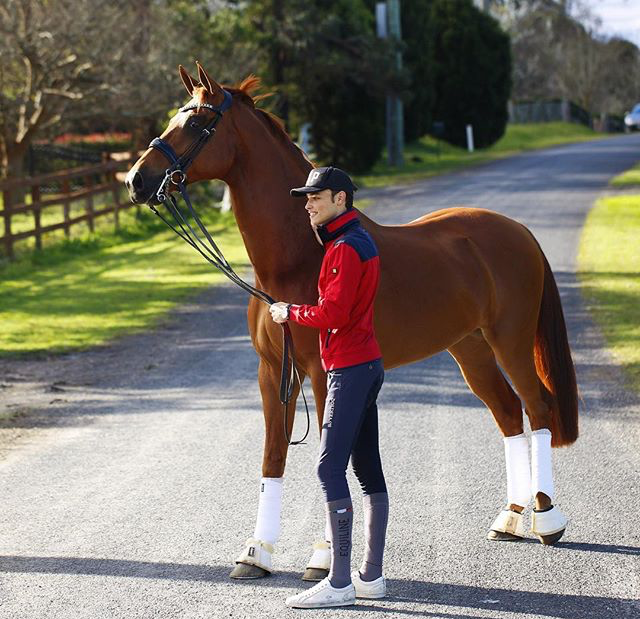 “He has managed to combine his love for riding with his work in fashion and has created an enormous following in the digital world, as an ‘equestrian influencer’ with a huge social presence. Matt is currently based in Sydney, but is preparing to embark on a modelling contract in Europe where he will be relocating his horse to train at leading equestrian stables. As such, EIAF will be transporting Matt’s horse ‘Chase’ – a gorgeous 9 year old chestnut, warmblood, dressage horse who stands at over 17 hands in the coming months. Matt has mentioned on many occasions that “riding is my priority and horses are EIAF’s priority, so it’s a perfect fit for both of us,” Cameron adds. 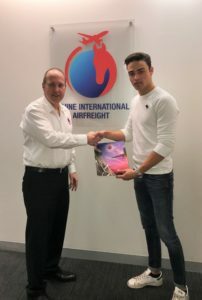 “I am super excited to be partnering with Equine International Airfreight and to be working with like-minded people whose care for horses and attention to detail has really impressed me,” Matt points out. Matt will, no doubt, have his photographer close by throughout the journey and we’re sure to get some great footage along the way as he plans to document the trip and share with his millions of followers through social media. Stay tuned for a lot more news on Matt and Chase’s equestrian adventure and their “flying” success.